By April 25 1915, he was dead. 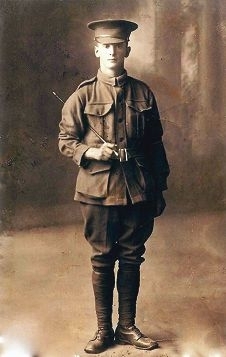 Private Woods is just one of 849 men who left Fremantle for World War I, leaving his South Street home for the uncertainties of the front line. A member of the 16th Infantry Battalion, Pte Woods was killed in action in Gallipoli, that renowned battle where thousands fell and which sparked the Anzac legend that is so strong today. As part of the centenary, the City of Fremantle is aiming to collect the stories of all 849 men, celebrating them for their sacrifice and ensuring their names and stories are never forgotten. Fremantle events management co-ordinator Marie La Frenais said the names of the 849 would also be added to the main cenotaph of Fremantle’s War Memorial in April. ‘It’s important to understand the sacrifices made and to commemorate and pay respect,’ she said. ‘A major project will be the laying of 849 wooden crosses on Rememberance Day this year, with each cross bearing the name of one of Fremantle’s fallen soldiers and laid by local school children. The city has collected 20 stories to date, submitted by family members such as Pte Woods’ great nephew Brad Colley.